Marks and Spencers have always been at the forefront of food and were the first retailer to sell ready meals to their growing base of customers. 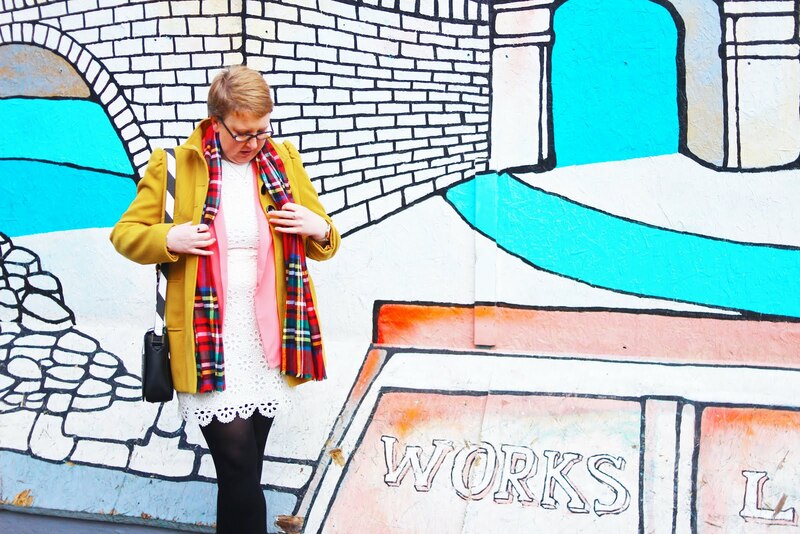 I have always loved M&S and regularly shop there for food, home, clothes and beauty. They really do have every base covered, it's really no surprise how successful they've been - they really do seem to have corned the market and despite reports to the contrary, are really successful. The ready meal has been around for many years and has become a staple in everybody's freezer. They're no longer seen to be cheap or nasty, in fact they have had somewhat of a revolution of late and are back being a favourite for everyone. 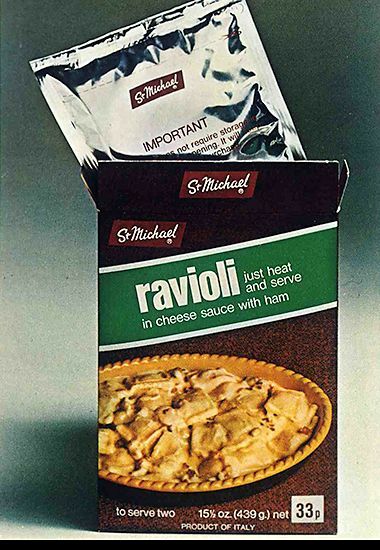 In 1973 Marks and Spencers launched the very first ready meal - ravioli in cheese and ham sauce in a foil pouch which could be cooked in a pan of boiling water. At the time it was seen as the height of sophistication as prior to this, everything had to be prepared fresh which was time consuming and labour intensive! Also in 1973, they were the first major retailer to introduce sell-by dates as a guarantee of freshness. 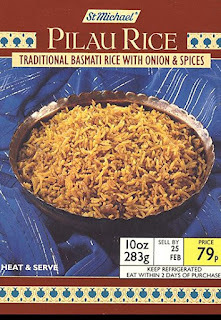 A year later Indian and Chinese ready meals were first trialled, although they didn’t really take off until the 1980s. 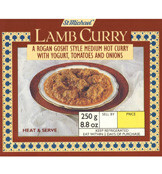 Marks & Spencer was the first major retailer to provide these dishes, which are now a big part of our national cuisine. At this time women were still primarily home-makers and the men were out working and bringing home a wage although times were changing and more women were entering the workforce which meant that they didn't have the time to cook dinner like they did before. 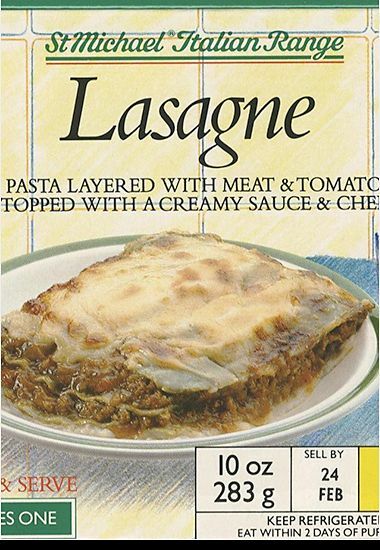 In 1975 international dishes were added to the frozen food line including curry-house favourites from lamb rogan josh to pork vindaloo and more international dishes were added including lasagna which is still popular today. 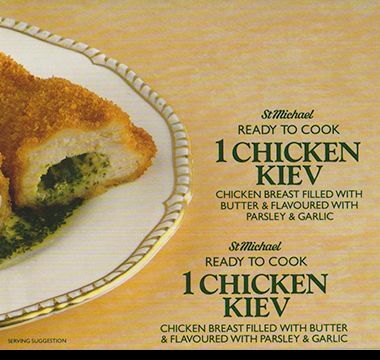 In 1979 Marks and Spencer became the first high street retailer in Britain to sell the Chicken Kiev - oh my how I loved them! When I was growing up we used to have these all the time and they were definitely the height of culinary fashion at the time! 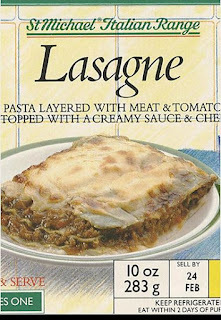 1985 - the range of prepared meals expanded to include eggs Florentine, a vegetarian moussaka and lasagna. 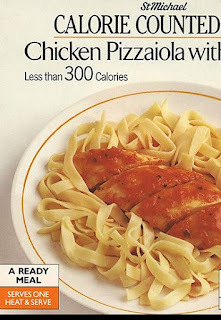 This year also saw the rise of the microwaveable calorie controlled meals, these dishes were all under 300 calories and included chicken pizzaiola with noodles and fish lasagna. 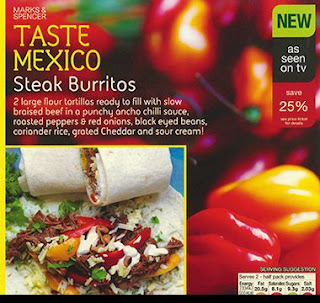 The turn of the Millennium saw the launch of their Count On Us range of meals which were low in sugar, fat and calories. They included sweet and sour chicken ham and mushroom pizza and risotto. In 2012 the clever chefs at M&S created the perfect runny middle Scotch Egg for their Gastropub Range and it is still popular today. 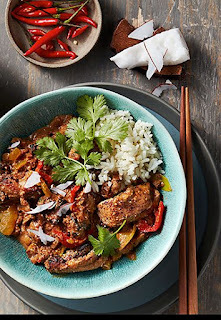 2014 saw the launch of Taste, their new global range which included 44 dishes from four cuisines: Mexican, Thai, Vietnamese and Japanese introducing customers to some exciting new flavours. 2018: Customers are spoiled for choice with their delicious, freshly prepared meals, developed by their chefs who travel the world in search of authentic flavours. I have had various ready meals from Marks and Spencers over the years and I absolutely love them all. I always think that food from M&S is just a little better than from most other supermarkets, like they put more care and love into their dishes. The flavour from their Gastropub range was exceptional and it felt really special to be trying them, especially considering the weather we've been having recently! To be able to come home and know that there's a warming meal just minutes away makes any journey worth making. 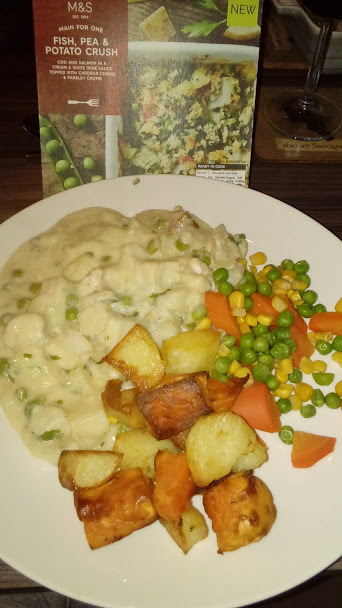 This was just absolutely delicious, who doesn't want a potato filled with creamy smoked fish as a warming dinner after a cinema trip?? I wholeheartedly recommend this if you're looking for something a bit different this autumn. This one was quite similar to a fish pie although slightly different. I did enjoy this because of the creamy mash potato and flavorfull fish. 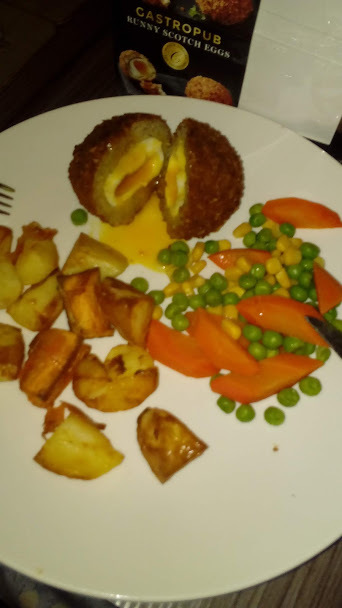 The only slight thing to put me off it was that it didn't look like the picture upon eating and that the potato topping didn't crisp up but perhaps that because I didn't take the film off of it whilst it was still cooking to allow it to do so! Despite this though it was still really tasty and a favourite of mine. I loved this one! 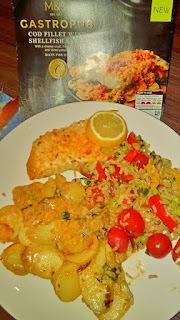 A bit like a posh fish and chips dish, it could be served with any veggies you liked but I chose cous cous and potatoes. The fish itself was delicately flavoured and cooked perfectly. A good date night dish this one for sure! Another fabulous warming dish from M&S, there's nothing quite like it to be honest and I'll fight anyone who thinks otherwise! This dessert was absolutely delicious! 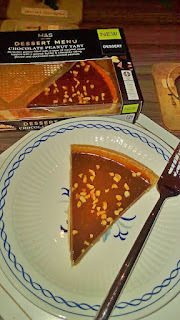 A bit like Millionaire's Shortbread minus all the sickly caramel base! Really really smooth, chocolately and the perfect balance of crispyness from the peanuts. I definitely did not want to share this one and I think you'd have a hard time too! I will definitely be back for another box of this deliciousness! 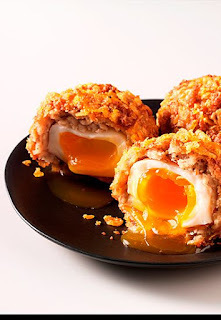 I did not have these as I don't eat eggs but I am reliably informed by my taste testers that they were the perfect blend of tasty sausage meat, runny egg yolk and crispy breadcrumbs. They would make an ideal lunch dish served with salad or potatoes as they're a bit small to only have one for tea. Perhaps as a starter dish but not as a main. My Dad tried this one for me as both myself and my Mum dislike frangipane! He really liked it, especially when it was served with cream! 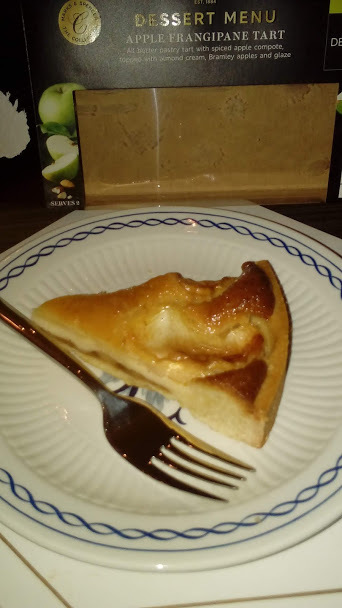 The sharpness of the almond worked well with the sweetness of the apples. However the base was slightly soggy which meant that there was no crispyness to add to the textures of this tart. 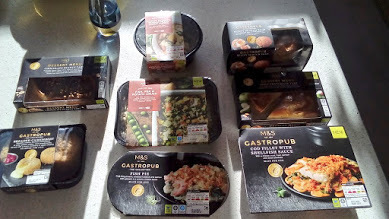 I thoroughly enjoyed all of the meals I have tasted from the Gastropub Range in Marks and Spencers. I do believe that they produce the best ready meals on the market and I almost don't feel so bad having one if it's come from M&S! My favourite of this range has to be the jacket potato and the peanut and chocolate tart...they were both absolutely delicious and I will definitely be having them again! Marks and Spencers has a special place in my heart because my Dad actually used to work for them as a manager so I have many fond memories of visiting him in branch and getting to taste some of the food. 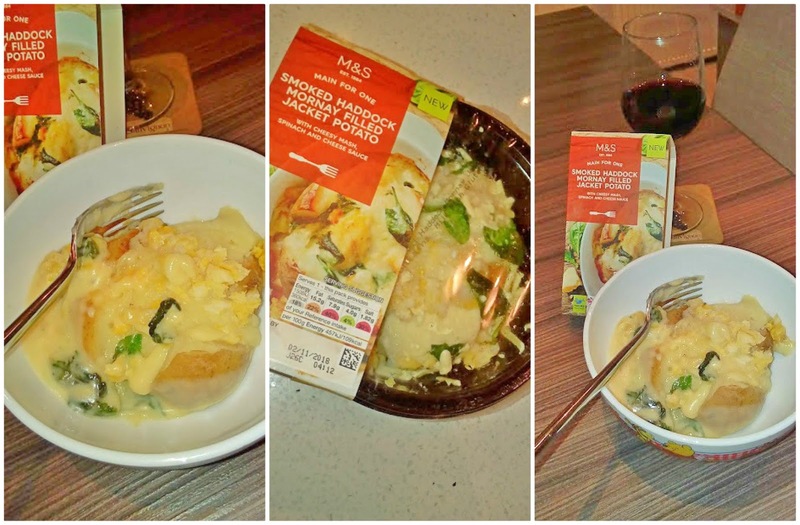 So I always associate M&S with happy memories from my childhood and I will always be grateful if I ever get to work with them in my capacity as a blogger. So I may be a bit biased but can you blame me? 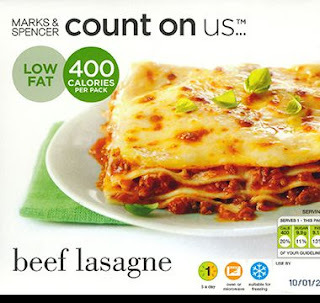 So if you're looking for some warming meals this Autumn/Winter then please don't discount Marks and Spencers, their food is always amazing quality and the prices aren't too un-reachable. So spoil yourself and your family by serving up some gorgeously tasty Gastropub meals. *meals kindly gifted in exchange for this blog post.